MediMiss how to get rid of double chin how to lose double chin how to lose face fat lose face fat Natural Remedies Remedies How to Lose Face Fat and Double Chin? Do you have fat deposited on your face and chin area? Do you want to get rid of them? You have come to the right article. 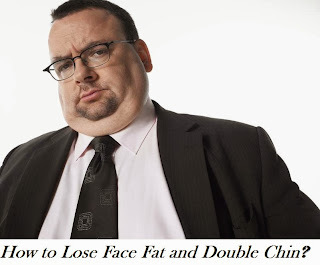 Read this article and find how you can lose face fat and double chin without surgery. Chubby cheeks look cute only up to a certain age after which they are given appropriate term ‘face fat’. Not only do these layers of fat hide a person’s cheekbones but also refuse to let him or her have a prominent jaw line. There are some simple exercises, which help a person get that fat off his face. If somebody expects quick results then he should prepare himself mentally as losing fat from the face is not as easy as putting it on. Women especially have the tendency of having swollen faces. Water retention is major causes behind that puffy face. Lack of proper diet, sleep or exercise is immediately reflected on a person’s face. Fat on the face can make the skin appear lose and saggy. To give it a toned look, one needs to do cardio exercises regularly. Walking or running on the treadmill, cycling and doing aerobic exercises are some of the best ways to get the appealing display of cheekbones. For the best results two minutes of walking must be alternated with two minutes of running on the treadmill. A high carbohydrate diet does more harm to a person’s body. Not only does it result in weight gain but also makes a person feel lethargic and drowsy, bringing his activity levels. • Throw your head backwards gently till you feel a strain on neck. Push your lower jaw forward and backward. This must be done whenever you are exercising or whenever you get the time, as many times as you can. • Check your posture while sitting or standing, as an improper posture can also be the reason behind a double chin. If done regularly, these exercise which are simple to follow, can help in defining the frame of a person’s face by making his cheekbones and jaw line more prominent.